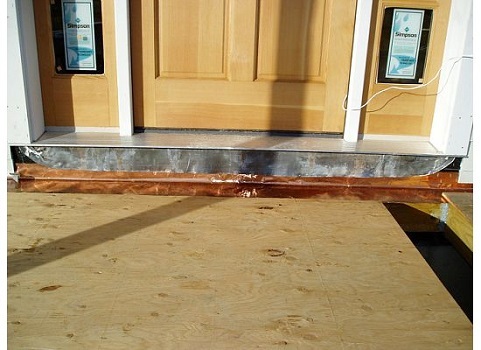 YorkShield 106 PT™ is a copper flashing used for deck ledger boards, sill pans and window flashing. It is compatible with all pressure treated lumber (ACQ, CCA, MCQ, CA SBJ/DOT). With pressure treated lumber mandated by the EPA to be arsenic-free, the lumber industry had to develop safer, non-toxic alternative treatments like ACQ. 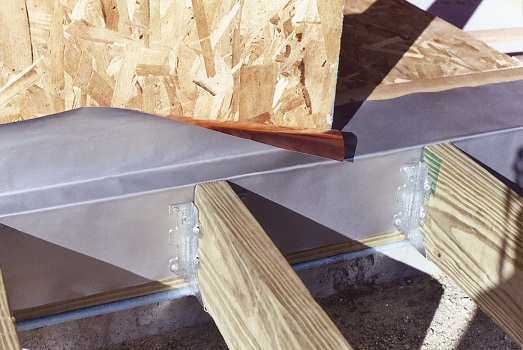 But this important change has called attention to the fact that the aluminum flashing typically sold with pressure treated wood simply is not compatible with the high copper content of the treated woods designed for ground contact, which are mandatory as of 1/1/18. 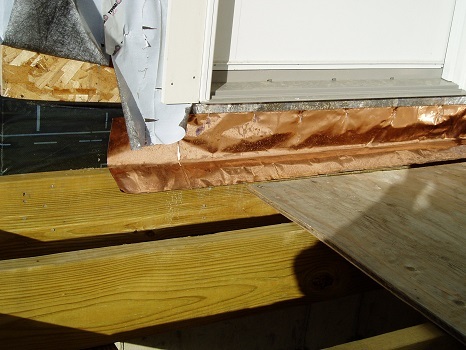 The solution is YorkShield 106 PT ™ copper flashing, which offers superior performance, more flexibility, lighter weight, better looks, longer life, & competitive prices. In other words, it’s got aluminum flashing products beat in every possible way.